After our last post about funeral car burglaries, I thought I’d post a follow up to lighten your spirits. If you recall, the burglaries occurred while mourners were inside the chapel grieving for their lost loved one. But after the incident, police in the area announced their investigation led to the arrest of the man they think is responsible for those burglaries. Thane Albert Eck, a 35-year-old Terreton resident, was ultimately arrested for a string of related burglaries. A few of the burglaries occurred on April 29 at the LDS Church on the corner of Second xanax West and First South in Rexburg, Idaho. He is also charged with burglarizing other cars, including one at the Rexburg LDS Temple and one at a cosmetology school and beauty salon. Eck was jailed later the same day on unrelated charges. However, once he was in custody, Rexburg Police connected some clues and came to the conclusion that Eck was the man they were looking for in connection with these burglaries. In case you ever wondered what kind of person steals funeral cars, you should check out his cringe-worthy defiant mug shot. Most funeral car enthusiasts purchase their cars for one of a few reasons. Some love the vehicles’ power. Some enjoy the quality craftsmanship. Many cite the cars’ ability to stand up well to hard use. Virtually all have one thing in common, however, a love for the vehicles’ innate beauty. But a funeral home in South Carolina has a truly one of a kind custom hearse they make available for clients. Hines Funeral Home, located in Hartsville, made headlines when they invested in a custom built “Timeless Hearse“. 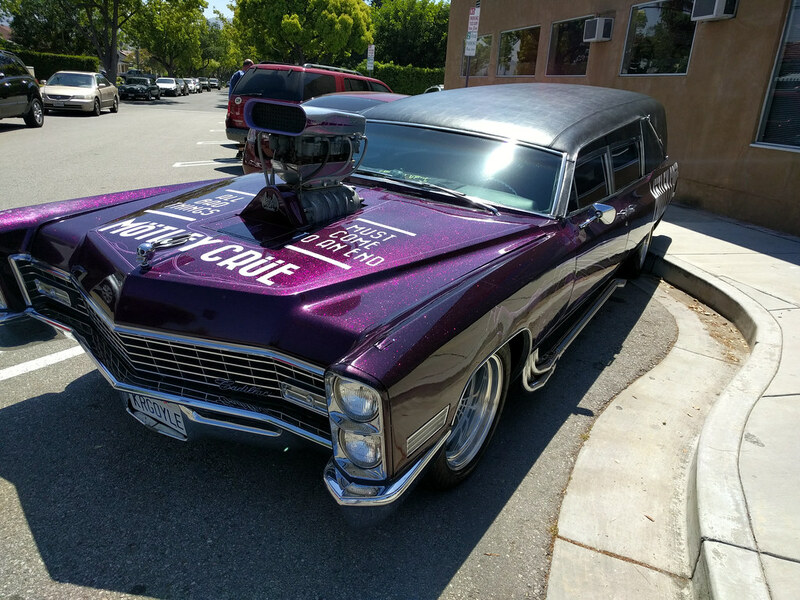 The “Timeless Hearse,” as the owner calls it is unique in several ways. Rather than the traditional black, the hearse is painted in a brilliant white. However, it is the design that truly has heads turning and people talking. It is based on a blend of the owner’s favorite features of three classic cars: the 1931 Rolls Royce, the 1932 Duisenberg and the 1934 healthsavy.com Packard. The chassis actually has two main frames rather than the traditional single frame, making the body 50% stronger. The vehicle features air suspension and a 5.3 liter V8 engine. The engine runs on gasoline, bio fuel or any mixture of the two. The car’s body is made of a Kevlar composite, making it virtually impervious to corrosion. The trim is created from the highest grade surgical steel and hand polished to a perfect mirror finish. The wood is all hand polished African mahogany, also bearing a mirror finish. Even the hubcaps are unique, gold plated in 18k and featuring the funeral home’s name offset in black letters in the center. The owners are mum on the total price of the new funeral car, but claim that it was less expensive than their usual budget for a new car. The vehicle is classic and elegant, and well worth a look. If you are into funeral cars, the chances are good that you are also interested in Halloween and its associated events. Perhaps you have a favorite haunt that you make an annual trek to each year. Or maybe you prefer to do as my father and I did last year, making the rounds of a section of the country to visit as many different haunts as possible. Either way, have you ever wondered what goes into the behind the scenes creation of a haunted attraction? HAuNTcon is your chance to find out. This annual event takes place each spring at a carefully selected location somewhere in the United States. In 2016, it was held in Birmingham, Alabama at the end of January. While the venue changes, the attractions and guests feature many familiar faces. The convention is filled to the brim with owners, designers, actors, makeup artists and others who are dedicated to perfecting the art of the scare. The the general public is invited to attend for a rare behind the scenes look at the creation of these Halloween masterpieces. A funeral car rally is always part of the festivities, allowing those who own hearses and other funeral cars the chance to show off their babies. Costume contests, dinners and both lights-on and lights-off tours of local haunted attraction are just a few of the regular events. The convention also offers numerous classes on topics that are hard to find elsewhere. This year’s lineup included classes entitled “Monster Mouths Made Easy,” “Styrofoam Masonry IV,” and “Airbrush Makeup for Haunts,” among many others. No experience is required for these hands-on seminars, and you need not be affiliated with a haunt to attend. If you are still in the market for the perfect funeral car, we invite you to visit our convenient dealership for hearse sales. We will be happy to help you select a car that you will be proud to take HAuNTcon.